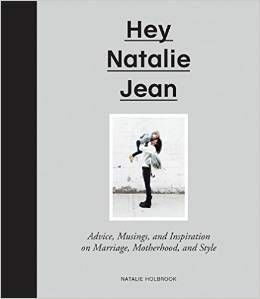 HEY NATALIE JEAN: HAPPY WEEKEND, HOMENUGGETS! I know what I will not be doing this weekend, and that is watching any more episodes of Homeland. I cannot do it! Season 3 was too sad! Other things I did this week that accomplished nothing while also clearing up a half decade of unnecessary confusion: finally Google the meaning of the word "artisanal." You know, I once had a very stimulating debate with Brandon over whether or not people can be considered artisanal, or if it's only things that can be considered artisanal. The debate ended on a pretty grandiose note when Brandon officially declared that from henceforth the word "artisanal" actually meant nothing anymore, it had absolutely no meaning, he had decided it. I think we were looking at organic kombucha at the time all this went down. It made me laugh then, and it makes me laugh now, it makes me laugh any time anyone mentions cheese or fermentation. Okay, and now for a few things I enjoyed this week . . .
Did you know you can stream the entire Criterion Collection for free on Hulu? I spent a few nights this week catching up on some French New Wave. Godard first -- Masculin Féminin and Breathless. There's some pretty decent hair inspiration going on in there. The Man Repeller emoji roundtable. Taking things overly seriously, yes. My new favorite watch that I am completely obsessed with. I've been looking for a cheek/lip tint that won't dry my lips out, and this one has good reviews. Anyone tried it? Anyone found a winner? Huck's favorite song these days. And what one man learned from wearing make up for a week. Have a restful weekend and see you in February! Lovely! Love the picture! Hope you have a great weekend! Revlon ColorBurst Balm Stain is my forever go to when it comes to lip tint. Perfectly stains your lips while not drying them out. Hooray for no flakes! Should Revlon hire me to promote this product or what? Oh I hear ya, same here. I think it's great when you express your point of view, it's refreshing! Btw, if your wierd for talking to your plants (which I do too) then I am bonkers for checking their aura energy fields ;). Keep up the madness friend. josie maran for your cheek/lip stain needs! And thennn I wanted to make my entire comment emojis, Lol. And they make a wonderful 90's sticker collection reference. Side note: my mom just gave me 15 boxes of things from my childhood, in them my sticker collection. Some of them date back to 1987. Is that "antique" yet? I feel old. Thanks for the podcast link, I hadn't heard about it, so I looked it up and I'm already intrigued!!! The Knick was amazing in my opinion! I can't wait for season 2!!! It's absolutely amazing how far the medical field has come since then! Every time I watched it I'm thankful I didn't live in those days!! I haven't tried the Becca tint, but I love Josie Maran's Lip and Cheek Creamy Oil. I mostly use it on my lips, but it has Argan Oil and is super moisturizing. The colors are so pretty.